While Christmas is already decided on, the holiday parties haven't stopped. Need a break from all that food? 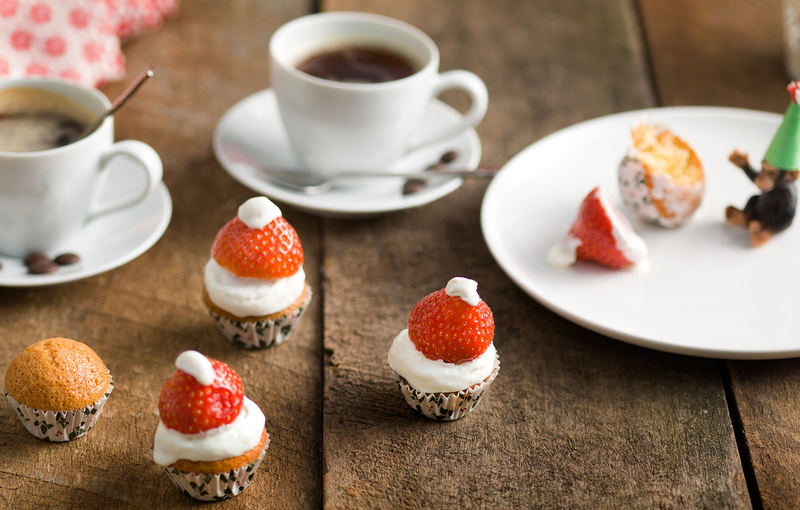 Try these mini recipes for your next get together...adorable and full of flavor! Simply bake (for1 hour,150 C, 130 C fan, 300 F, gas 2.) these tiny tots until perfectly roasted golden brown, spice with some grinded pepper & sea salt. Cut a cross in the top and add a teaspoon of sour cream and top with chives. Place the chicken, mayonnaise, lemon juice, basil, mint, salt and pepper in a bowl and mix to combine. Divide chicken mixture between half the bread slices and top with remaining bread. Cut sandwiches into small triangles and brush one side with the extra mayonnaise. Press the mayonnaise into the chives to serve. Makes 24. Place all the ingredients in a large cold bowl and beat just until stiff peaks form. Preheat the oven to 180°C/ 350°F / Gas 4. Line a muffin tin with paper cases. Put the butter and sugar in a bowl and beat until pale and fluffy. Sift the flour, baking powder and salt into the bowl. Beat the eggs and vanilla and add to the bowl. Beat until just combined. Spoon the mixture into the paper cases. Bake for 18 to 20 minutes until risen, golden and firm to the touch. Cool in the tin for 10 minutes, then transfer to a wire rack to cool completely. Put some of the whipping cream and a strawberry (cut of the green) on top of the cupcakes. Keep cool!